What’s the key to happiness for the millennial man? It has something to do with sleepless nights, four wheels, and a lot of vomit. I’m talking about a baby. Seriously. A surprising new report reveals that millennial fathers claimed much higher levels of satisfaction with their work and home lives than single men. This comes at a time when our ‘Peter Pan‘ culture is saturated with claims that “30 is the new 20,” and when we’re collectively waiting longer than ever to settle down with wedding rings, white picket fences, and babies. The report included surveys with 1,100 millennials between the ages of 22 and 35 who had at least two years of professional work experience. All were employed at one of five large global corporations in the insurance, financial services, accounting and consulting fields. “When you look at the percentages and the scores, fathers just seemed to have richer, more meaningful lives that they were more satisfied with than their single counterparts,” said Brad Harrington, executive director of the Boston College Center for Work & Family and a co-author of the report. 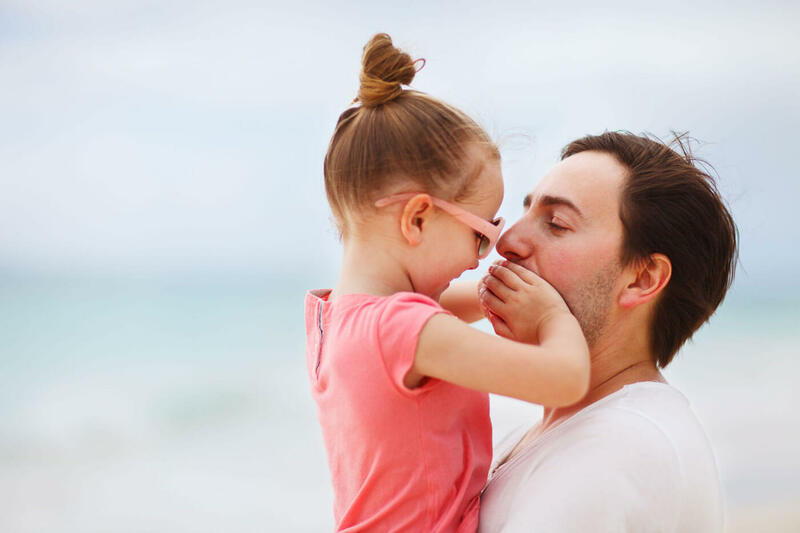 The report found that millennial dads were more satisfied with their workplaces and their career achievements than single millennial men and were more likely to stay with their employers. When it comes to overall life satisfaction, millennial men were 20-40 per cent more likely to feel that their life conditions were excellent, that they had obtained the important the important things they wanted in life, and were living close to their ideal. At the same time, however, the report reveals that, like millennial moms, millennial dads are struggling to “have it all,” with slightly more millennial dads (19 per cent) than millennial moms (15 per cent) reporting that it was difficult to combine work and personal life/family. When it comes to career advancement, however, it seems to be more important to millennial dads than millennial moms. Eighty-eight percent of millennial dads said they wanted greater challenges in work compared to 74 per cent of millennial moms. Furthermore, 82 per cent of millennial dads wanted to move up the corporate ladder, versus 69 per cent of millennial moms. The most telling finding is one that’s applicable to any modern parents – millennials or not. Those dads who divided all the parenting responsibilities equally with their partners reported higher levels of work and life satisfaction than those who didn’t. The fathers who opted for a more equal division of duties with their spouses scored higher than those who didn’t when it comes to being respected at work and feeling part of a group in their workplaces. Furthermore, they scored much higher than other dads in strongly agreeing with statements like, “If I had to live my life over, I would change almost nothing,” and in strongly agreeing that their life conditions were excellent and that they were satisfied in life. The most positive news is that his research includes some of the first hard data on the benefits of an egalitarian division of labour for fathers. So if your man is slacking in this department, you may want to bookmark this link.